For outdoor lovers like you and I, camping becomes a regular activity. Whether it’s in a tent, an RV, or whatever, we always look for time and ways to be with nature. One of the things that are becoming more common is a pop-up camper. They're a blend between a tent and a trailer. Read on for a buying guide and a list of the best pop up campers in the market. What Are The Best Pop Up Campers In The Market? Why get a pop-up camper? How many people do you want it to accommodate? What vehicle do you have to tow it? Pop-up campers are also called tent trailers because they are like bigger tents on wheels. Like tents, you have to set them up, and like RV's or trailers, they are on wheels. You get both the adventure of a tent camping experience but with more comfort and convenience of a recreational vehicle. 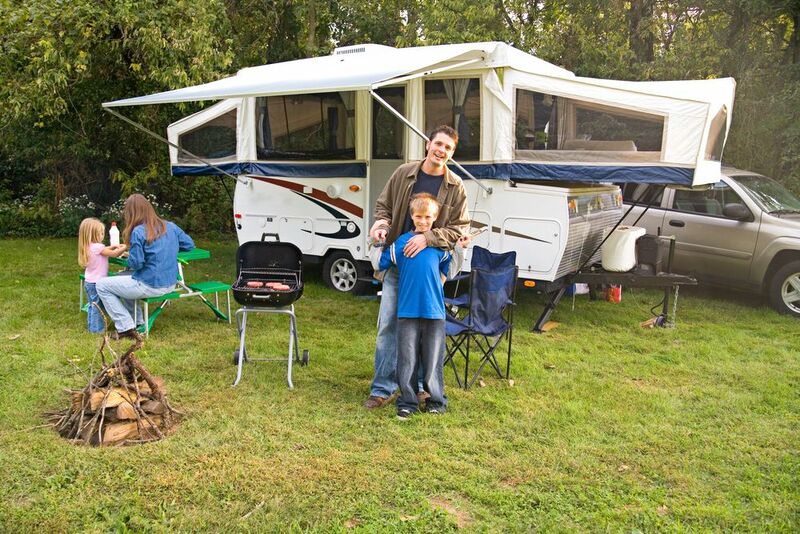 Pop-up campers are smaller and lighter than regular travel trailers, so they are easier to manage. You won’t need a huge pickup truck for towing because many minivans, SUVs, and sedans are more than capable. Since you can fold it down, it is much easier to store than conventional recreational vehicles. You won’t need special storage because it can most likely fit through your garage entrance. 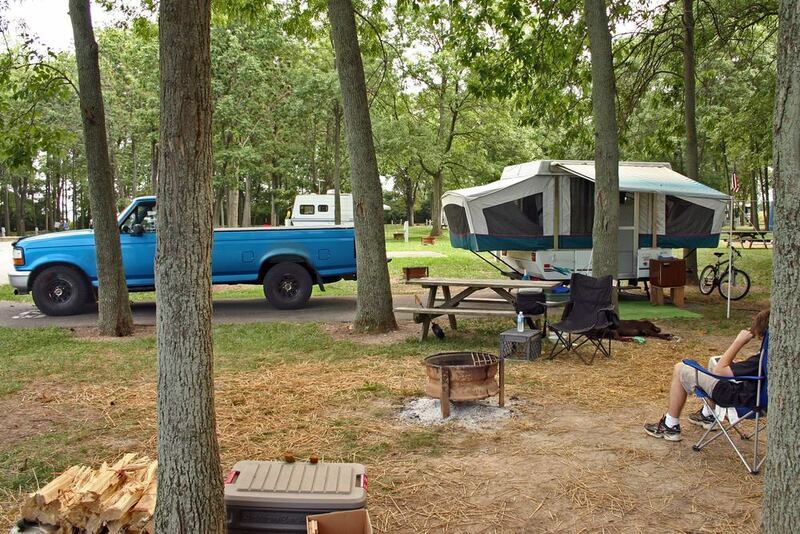 Pop up campers are easy to set up and put away, but it also depends on the kind you get. They have more room than a tent, and it can protect you better from rain or other natural elements. You can sleep more comfortably in a pop-up camper than in a ten. The mattresses in a pop-up camper don't compare to your bed at home, but they are more comfortable than sleeping on the ground. Depending on the model, you can have amenities like a sink, stove, fridge, shower, etc. A pop up camper usually has enough space for the things you want to bring for your adventure. Finally, a pop-up camper is a cheaper option than a trailer. When looking for the right pop up camper for you, you have to consider the number of people you plan to accommodate. Will you be alone, with family or with friends? Are you planning on inviting people in? 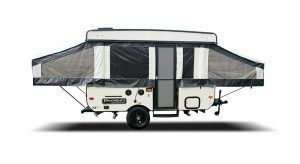 Asking these question will help you decide on the size, features and other important details about the pop-up camper. Even though most pop-up campers are light, you still have to take note of what vehicle you’ll be using to tow it. Yes, many pop-up campers are light enough for sedans, but not all may be. Look into the weight of the camper and the towing capacity of your vehicle. Also, check if the pop-up camper has electric brakes and if your towing vehicle has a hookup for it. Since there is extra weight pushing against your vehicle, electric brakes will give you more stopping power. This keeps everyone safer. This is the standard type of pop-up trailer. It has hard-top roofing and a box or solid bottom frame, so when it is folded, it is just like a box. When you open it upwards and outwards, you get about twice the size of the folded dimensions. This is a little lighter than the hard top pop-ups since the roofing is fabric instead of a solid roof. An A-frame pop-up gets its name from the shape it forms. Compared to the other types, it is easier to set up, but you'd have to sacrifice some living space for it since it has an irregular shape. A brand new pop-up camper costs anywhere between $5,000 to $20,000 or more. The price varies because it also depends on the features it offers. However, if you are on a tighter budget, you can still find well-maintained used ones a much lower cost. Like I said, the cost usually depends on the features of the pop-up camper. That’s why you should first decide what you want it to have. This will help you narrow down your choices and make the decision process easier. Jayco is one of the popular pop-up camper manufacturers. The Jay Sport Camping Trailer comes in 4 different floorplans so you can choose one that suits you the most. In addition to that, you can add other features such as a furnace, refrigerator, heated bed mats, an outside shower and more. The lifter system has strong and flexible rods to lift the roof. The roof uses fiberglass and has a distinctive dome shape for water to runoff better during rainy weather. The frame is designed for a long haul. It is powder-coated to prevent rust, and it also has an special frame to prevent buckling and twisting during towing. The wooden floor deck is water resistant. It is glued and screwed securely to the floor. The bed support can hold up to 1050 pounds. Jayco backs up their campers with a 2-year limited warranty from the manufacturer, not the dealer. The original purchaser has additional industry-leading lifetime parts and labor coverage on their lifter system, frame, roof, and floor. For more info on their warranty, click here. The Coachmen Clipper comes in a few different floorplans so you can choose one to suit your needs and budget. The most basic one is Clipper Express. To name the others, there's Clipper Hardside, Clipper Classic, Clipper Sport, and Clipper LS. One of the unique features of the Clipper series is that it offers is the Glide-N-Lock bed system. It's fairly easy to set up and to take down. As for the maximum weight permissible weight when fully loaded, it varies according to the type. 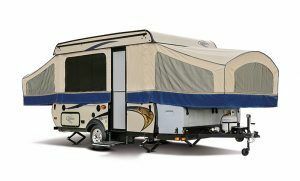 The standard features include LED interior lights, 19 gallons fresh water tank and a 3-flap safety tent system. You can choose from 6 different floorplans, and other options to make your camping experience more fun. This includes power roof lift, air conditioner, hot shower and more. One thing about this camper is that you have flexible cooking options with their indoor/outdoor cooktop. It also has strong, durable walls that are easy to set up and fold down, so you can enjoy more time having fun. Finally, it offers thermo-foil bed ends so you can keep warm during cold nights. For more information, click here. The Classic Flagstaff setup has a high ceiling, making it more spacious and airy. Classic series has four different floorplans to choose from and a lot of optional features to make it more comfortable. However, the standard features are already a lot in itself as well. The strong steel frame, fiberglass roof, and powder coated poles are also some standards for durability. You control the electric lift by simply pressing the button up or down, making the set up a snap. It seems great for families or a group of friends because of the dinette that seats at least four people. It also has two large beds on both ends. For more information about the add-ons, visit the forest river website. 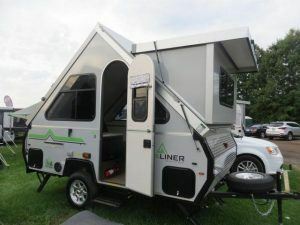 The Aliner Classic is an A-frame pop-up camper. It's simple and basic, just what you want when camping. It has a fiberglass exterior, four stabilizing jacks, electric brakes and a breakaway switch. The solid walls are great for all weather conditions, compared to those with fabric side walls. Setting up a classic A-Frame is quite simple. It's all manual but since the material used is light, it’s easy to push up and to fold down. It’s powder coated for longer durability. As I mentioned earlier, the A-liner classic is quite basic. There are two designs that you can choose from, both of which have a refrigerator, microwave, stove, a fan, sink, and flip up counter tops. It also has an eleven-gallon water tank, a water pump, electrical outlets, LED interior lights and more. If you're looking for a pop-up camper, then you should note down what features you want. It can get overwhelming if you don't know what you are looking for. Remember to consider who will be on it, what vehicle will tow it, what type you want, what amenities you need, and how much you're willing to spend. Also, take a look at the warranty details that will backup your choice. If you have questions, comments, suggestions, or concerns, please feel free to use the comment section below.